The Center for Science in the Public Interest is a research and non-profit group that is an advocate for nutrition and food safety. 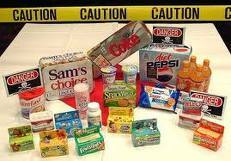 They recently published a list of food additives to avoid and ones that are safe. You know, those ingredients that you can’t pronounce on the back of every packaged food label you pick up and read? Below I have selected some of the most offensive additives to avoid at all costs. You may read the full article from CSPI here. Artificial sweetener: Baked goods, chewing gum, gelatin desserts, diet soda, Sunette. This artificial sweetener, manufactured by Hoechst, a giant German chemical company, is widely used around the world. It is about 200 times sweeter than sugar. In the United States, for several years acesulfame-K (the K is the chemical symbol for potassium) was permitted only in such foods as sugar-free baked goods, chewing gum, and gelatin desserts. In July 1998, the FDA allowed this chemical to be used in soft drinks, thereby greatly increasing consumer exposure. It is often used together with sucralose. The safety tests of acesulfame-K were conducted in the 1970s and were of mediocre quality. Key rat tests were afflicted by disease in the animal colonies; a mouse study was several months too brief and did not expose animals during gestation. Two rat studies suggest that the additive might cause cancer. It was for those reasons that in 1996 the Center for Science in the Public Interest urged the FDA to require better testing before permitting acesulfame-K in soft drinks. In addition, large doses of acetoacetamide, a breakdown product, have been shown to affect the thyroid in rats, rabbits, and dogs. Hopefully, the small amounts in food are not harmful. Artificial sweetener: “Diet” foods, including soft drinks, drink mixes, gelatin desserts, low-calorie frozen desserts, packets. Aspartame (Equal, NutraSweet), a chemical combination of two amino acids and methanol, was initially thought to be the perfect artificial sweetener, but it might cause cancer or neurological problems such as dizziness or hallucinations. A 1970s study suggested that aspartame caused brain tumors in rats. However, the Food and Drug Administration persuaded an independent review panel to reverse its conclusion that aspartame was unsafe. The California Environmental Protection Agency and others have urged that independent scientists conduct new animal studies to resolve the cancer question. In 2005, researchers at the Ramazzini Foundation in Bologna, Italy, conducted the first such study. It indicated that rats first exposed to aspartame at eight weeks of age caused lymphomas and leukemias in females. However, the European Food Safety Authority reviewed the study and concluded that the tumors probably occurred just by chance. In 2007, the same Italian researchers published a follow-up study that began exposing rats to aspartame in utero. This study found that aspartame caused leukemias/lymphomas and mammary (breast) cancer. It is likely that the new studies found problems that earlier company-sponsored studies did not because the Italian researchers monitored the rats for three years instead of two. The Italian tests remain controversial, with the industry contending that they were flawed in several ways and with the FDA stating its scientists couldn’t evaluate the studies because the researchers refused to provide their original data. In a 2006 study, U.S. National Cancer Institute researchers studied a large number of adults 50 to 69 years of age over a five-year period. There was no evidence that aspartame posed any risk. However, the study was limited in three major regards: It did not involve truly elderly people (the rat studies monitored the rats until they died a natural death), the subjects had not consumed aspartame as children, and it was not a controlled study (the subjects provided only a rough estimate of their aspartame consumption, and people who consumed aspartame might have had other dietary or lifestyle differences that obscured the chemical’s effects). The bottom line is that lifelong consumption of aspartame probably increases the risk of cancer. People—especially young children—should not consume foods and beverages sweetened with aspartame, should switch to products sweetened with SUCRALOSE (Splenda), or should avoid all artificially sweetened foods. Two other artificial sweeteners, SACCHARIN and ACESULFAME-K, have also been linked to a risk of cancer. Antioxidant: Cereals, chewing gum, potato chips, vegetable oil. BHA retards rancidity in fats, oils, and oil-containing foods. While some studies indicate it is safe, other studies demonstrate that it causes cancer in rats, mice, and hamsters. Those cancers are controversial because they occur in the forestomach, an organ that humans do not have. However, a chemical that causes cancer in at least one organ in three different species indicates that it might be carcinogenic in humans. That is why the U.S. Department of Health and Human Services considers BHA to be “reasonably anticipated to be a human carcinogen.” Nevertheless, the Food and Drug Administration still permits BHA to be used in foods. This synthetic chemical can be replaced by safer chemicals (e.g., vitamin E), safer processes (e.g., packing foods under nitrogen instead of air), or can simply be left out (many brands of oily foods, such as potato chips, don’t use any antioxidant). 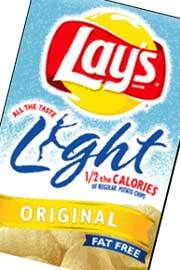 Fat substitute: Lay’s Light Chips, Pringles Light chips. Olestra is Procter & Gamble’s synthetic fat that is not absorbed as it passes through the digestive system, so it has no calories. Procter & Gamble suggests that replacing regular fat with olestra will help people lose weight and lower the risk of heart disease. Olestra can cause diarrhea and loose stools, abdominal cramps, flatulence, and other adverse effects. Those symptoms are sometimes severe. Olestra reduces the body’s ability to absorb fat-soluble carotenoids (such as alpha and beta-carotene, lycopene, lutein, and canthaxanthin) from fruits and vegetables, but an occasional serving wouldn’t be a problem. Those nutrients are thought by many experts to reduce the risk of cancer and heart disease. Olestra enables manufacturers to offer greasy-feeling low-fat snacks, but consumers would be better off with baked snacks, which are safe and just as low in calories. Products made with olestra should not be called “fat free,” because they contain substantial amounts of indigestible fat. Fat, oil, shortening: Stick margarine, crackers, fried restaurant foods, baked goods, icing, microwave popcorn. Vegetable oil, usually a liquid, can be made into a semi-solid shortening by reacting it with hydrogen. Partial hydrogenation reduces the levels of polyunsaturated oils – and also creates trans fats, which promote heart disease. A committee of the U.S. Food and Drug Administration (FDA) concluded in 2004 that on a gram-for-gram basis, trans fat is even more harmful than saturated fat. Ideally, food manufacturers would replace hydrogenated shortening with less-harmful ingredients. The Institute of Medicine has advised consumers to consume as little trans fat as possible, ideally less than about 2 grams a day (that much might come from naturally occurring trans fat in beef and dairy products). Harvard School of Public Health researchers estimate that trans fat had been causing about 50,000 premature heart attack deaths annually, making partially hydrogenated oil one of the most harmful ingredients in the food supply (see discussion of salt below). 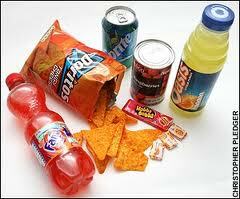 Beginning in 2006, Nutrition Facts labels have had to list the amount of trans fat in a serving. That spurred many companies, including Frito-Lay, Kraft, ConAgra, and others, to replace most or all of the partially hydrogenated oil in almost all their products. Usually the substitutes are healthier and the total of saturated plus trans fat is no higher than it was. Foods labeled “0g trans fat” are permitted to contain 0.5g per serving, while “no trans fat” means none at all. Consumers need to read labels carefully: foods labeled “0g trans” or “no trans” may still have large amounts of saturated fat. Restaurants, which do not provide nutrition information, have been slower to change, but the pace of change has picked up. They use partially hydrogenated oil for frying chicken, potatoes, and fish, as well as in biscuits and other baked goods. McDonald’s, Wendy’s, KFC, Taco Bell, Ruby Tuesday, and Red Lobster are some of the large chains that have largely eliminated trans fat or soon will. Most large chains and many smaller independent restaurants continue to fry in partially hydrogenated oil and their French fries, fried chicken, fried fish, and pot pies contain substantial amounts of trans fat. Fortunately, the use of partially hydrogenated oil dropped by 50 percent from around 2000 to 2007. Fully hydrogenated vegetable oil does not have any trans fat, but it also does not have any polyunsaturated oils. It is sometimes mixed (physically or chemically) with polyunsaturated liquid soybean oil to create trans-free shortening. When it is chemically combined with liquid oil, the ingredient is called inter-esterified vegetable oil. Meanwhile, oil processors are trying to improve the hydrogenation process so that less trans fat forms. Flour improver: White flour, bread and rolls. This additive has long been used to increase the volume of bread and to produce bread with a fine crumb (the not-crust part of bread) structure. Most bromate rapidly breaks down to form innocuous bromide. However, bromate itself causes cancer in animals. The tiny amounts of bromate that may remain in bread pose a small risk to consumers. Bromate has been banned virtually worldwide except in Japan and the United States. It is rarely used in California because a cancer warning might be required on the label. In 1999, the Center for Science in the Public Interest petitioned the FDA to ban bromate. Since then, numerous millers and bakers have stopped using bromate. Artificial sweetener: Diet, no-sugar-added products, soft drinks, sweetener packets. 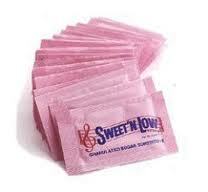 Saccharin (Sweet ’N Low) is 350 times sweeter than sugar and is used in diet foods or as a tabletop sugar substitute. Many studies on animals have shown that saccharin can cause cancer of the urinary bladder. In other rodent studies, saccharin has caused cancer of the uterus, ovaries, skin, blood vessels, and other organs. Other studies have shown that saccharin increases the potency of other cancer-causing chemicals. And the best epidemiology study (done by the National Cancer Institute) found that the use of artificial sweeteners (saccharin and cyclamate) was associated with a higher incidence of bladder cancer. In 1977, the FDA proposed that saccharin be banned, because of studies that it causes cancer in animals. However, Congress intervened and permitted it to be used, provided that foods bear a warning notice. It has been replaced in many products by aspartame (NutraSweet). In 1997, the diet-food industry began pressuring the U.S. and Canadian governments and the World Health Organization to take saccharin off their lists of cancer-causing chemicals. The industry acknowledges that saccharin causes bladder cancer in male rats, but argues that those tumors are caused by a mechanism that would not occur in humans. Many public health experts respond by stating that, even if that still-unproved mechanism were correct in male rats, saccharin could cause cancer by additional mechanisms and that, in some studies, saccharin has caused bladder cancer in mice and in female rats and other cancers in both rats and mice. In May 2000, the U.S. Department of Health and Human Services removed saccharin from its list of cancer-causing chemicals. Later that year, Congress passed a law removing the warning notice that likely will result in increased use in soft drinks and other foods and in a slightly greater incidence of cancer. Preservative, coloring, flavoring: Bacon, ham, frankfurters, luncheon meats, smoked fish, corned beef. Meat processors love sodium nitrite because it stabilizes the red color in cured meat (without nitrite, hot dogs and bacon would look gray) and gives a characteristic flavor. Sodium nitrate is used in dry cured meat, because it slowly breaks down into nitrite. Adding nitrite to food can lead to the formation of small amounts of potent cancer-causing chemicals (nitrosamines), particularly in fried bacon. Nitrite, which also occurs in saliva and forms from nitrate in several vegetables, can undergo the same chemical reaction in the stomach. Companies now add ascorbic acid or erythorbic acid to bacon to inhibit nitrosamine formation, a measure that has greatly reduced the problem. While nitrite and nitrate cause only a small risk, they are still worth avoiding. Several studies have linked consumption of cured meat and nitrite by children, pregnant women, and adults with various types of cancer. Although those studies have not yet proven that eating nitrite in bacon, sausage, and ham causes cancer in humans, pregnant women would be prudent to avoid those products. The meat industry justifies its use of nitrite and nitrate by claiming that it prevents the growth of bacteria that cause botulism poisoning. That’s true, but freezing and refrigeration could also do that, and the U.S. Department of Agriculture has developed a safe method using lactic-acid-producing bacteria. The use of nitrite and nitrate has decreased greatly over the decades, because of refrigeration and restrictions on the amounts used. The meat industry could do the public’s health a favor by cutting back even further. Because nitrite is used primarily in fatty, salty foods, consumers have important nutritional reasons for avoiding nitrite-preserved foods. The list could go on and on, but the above information is great. I strongly encourage everyone to check out the CSPI website (link at the beginning of the post) and view the entire list because there are additives that sound scary that are actually good for you. Ascorbic acid (or vitamin C) comes to mind. My advice for you is to shop around the edges of the grocery store. There you’ll find meats, fruits, vegetables and nuts. That’s all you need to eat. If you consume those foods most frequently and on a regular basis, avoiding the above additives is easy. Quick! Get that kid some bacteria! I recently came across an article that got my interest for a couple of reasons. The article was about allergies and how many health practitioners are reporting an increase in the number of children they are seeing with allergies. I agree. In my office I see several children whose parent’s only complaint is their child’s allergies. The second reason for my interest was one of the proposed reasons for this – an unhealthy balance of bacteria in the gut. The number of kids with food allergies went up 18 percent from 1997 to 2007, according to the U.S. Centers for Disease Control and Prevention. About 3 million children younger than 18 had a food or digestive allergy in 2007, the CDC said. These numbers are high and seem to be rising rapidly in rich, industrialized countries like the U.S. and Britain. In fact, a recent study in the Journal of Allergy and Clinical Immunology found that visits to the emergency room at Children’s Hospital Boston for allergic reactions more than doubled from 2001 to 2006. In my practice I have always contended that the Western diet and lifestyle plays a major role in the development of allergies in our children. Now a small Italian study seems to confirm what I have postulated. My theory has always been that the combination of being overly clean and eating diets high in refined carbohydrates and other allergenic foods has caused a massive immune imbalance. This imbalance leads to over activation of the entire immune system resulting in reactions that range from minor annoyances to life threatening. Now, in my opinion, it has very little to do with the fact that this African culture eats very little meat and simply with the fact that they consume a more natural, raw diet. This leads to a more favorable balance of bacteria in the gut because of exposure. 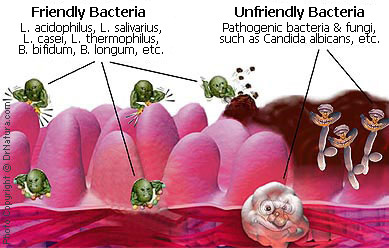 Why are these bacteria important? The bacteria in our gut work symbiotically with our systems in order to help us survive. It is a true symbiotic relationship in that neither one of us (the bacteria or the person) would survive without the other. They are important because they help digest certain proteins, help up absorb certain vitamins and minerals and perhaps most importantly with regards to allergies, maintains gut wall integrity or permeability. Gut wall integrity is crucially important in not only preventing allergies but maintaining the health of the entire immune system. So what happens when the balance of good bacteria changes in the gut? Good question. As the balance begins to be altered, the permeability of the gut begins to increase. Our digestive systems are designed to absorb a lot of things, but these things must be fully digested and of the appropriate size to be absorbed. When our system becomes overly permeable, proteins that are undigested or are partially digested may get absorbed into our blood stream. This is problematic. Proteins are simply chains of amino acids linked together. A small chain of amino acids is called a peptide. A larger chain of amino acids or several peptides linked together is called a protein. When we consume a hamburger, for example, the proteins are large and may be thousands of amino acids long. It is the job of our intestinal tract to break down each and every one of those proteins into its individual components or amino acids. If this does not happen, then peptides are what remain. This is not problematic unless you have high gut permeability or a leaky gut. This leaky gut, from abnormal bacterial balance, now absorbs these peptides into the blood stream. Why are these peptides a problem? Because your body doesn’t recognize them as useful. Your body recognizes amino acids as helpful. Amino acids are often referred to as building blocks because they are used for so many things in the body. That is precisely the reason the digestive system is designed to break down proteins into these components. Peptides are not recognized and therefore the body sees them as foreign invaders and generates an immune response, or allergy, to them. For some people this response is minor (itchy eyes, runny nose, hives, etc.) and for others it is life threatening (anaphylaxis). Gluten, the protein from wheat, rye, oats and barley and casein, the protein from milk are notorious for being broken down incompletely in the gut and causing allergic reactions. They are the most common simply because they are two of the most commonly consumed foods in the world (wheat and milk products). What can I do to help myself or my child? There are many things you can do. First and foremost eliminate any food that you know causes you an issue. Secondly, you may consider having an allergy test. This is important because many people are allergic to things they aren’t aware of. 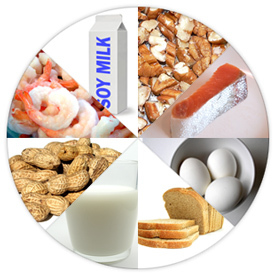 An allergy test should also include food sensitivities. These are reactions to foods that don’t necessarily generate a full immune response in your body but do initiate a response on a lower level. These are important to know because reducing your total allergic load is critical for helping you overcome your major allergies. Also, take a digestive enzyme that is high in protease. A protease in an enzyme that breakdown protein. If you take this with a meal it will help insure that all proteins are properly digested. Last, but certainly not least, take a probiotic. A probiotic will help restore the healthy balance of bacteria in your gut and help you maintain the integrity of you gut wall. This will insure that the permeability is appropriate and you are not absorbing micronutrients that your immune system views as dangerous. Food dyes are an interesting subject. Health groups have been calling for their removal from the market for years because of links to allergies, hyperactivity in children and cancer. The food industry uses them for one sole purpose – to make food look more appealing. That’s it. We’re not even talking about flavor enhancers here (which have their own set of problems). Food dyes don’t make food taste better and have no nutritional value to them whatsoever. They are nothing more than chemicals used to make us think our food is going to taste better. Now the Center for Science in the Public Interest (CSPI) is calling for the removal of several of these dyes. They say the three most widely used dyes, Red 40, Yellow 5, and Yellow 6, are contaminated with known carcinogens. They also say that another dye, Red 3, has been known by the government for years to be a carcinogen yet it remains in our food supply. 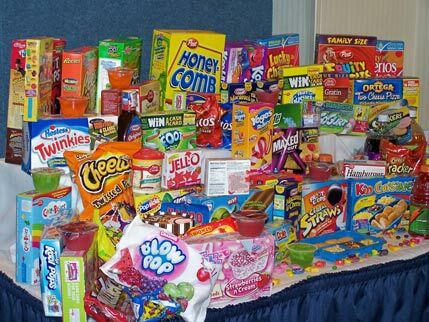 Every year about 15 million pounds of eight synthetic dyes end up in our food. Per capita consumption of dyes has increased five-fold since 1955. Children consume more dye per unit of body weight than adults and they are much more susceptible to their effects. The FDA did not consider the risk to children when making their ‘acceptable level’ guidelines. Most safety studies conducted on dyes were conducted or commissioned by food dye manufacturers. Most of these studies lasted less than two years so long term affects could not be assessed. The amount of artificial chemical allowed in any given dye is based on usage from 1990 and usage has increased by 50% since then. There are 9 dyes currently approved for use in the United States. Many previous dyes have been banned because they have caused adverse affects in laboratory animals. In fact, the British government had asked manufactures, as of last December 31st, to completely phase out use of dyes and the European Union is requiring that every food containing dye come with warnings. Below is a summary of each dye and its potential problems. This list is from the CSPI. Blue 1 was not found to be toxic in key rat and mouse studies, but an unpublished study suggested the possibility that Blue 1 caused kidney tumors in mice, and a preliminary in vitro study raised questions about possible effects on nerve cells. Blue 1 may not cause cancer, but confirmatory studies should be conducted. The dye can cause hypersensitivity reactions. Blue 2 cannot be considered safe given the statistically significant incidence of tumors, particularly brain gliomas, in male rats. It should not be used in foods. Citrus Red 2, which is permitted only for coloring the skins of oranges not used for processing, is toxic to rodents at modest levels and caused tumors of the urinary bladder and possibly other organs. The dye poses minimal human risk, because it is only used at minuscule levels and only on orange peels, but it still has no place in the food supply. Green 3 caused significant increases in bladder and testes tumors in male rats. Though the Food and Drug Administration (FDA) considers it safe, this little-used dye must remain suspect until further testing is conducted. Orange B is approved for use only in sausage casings, but has not been used for many years. Limited industry testing did not reveal any problems. Red 3 was recognized in 1990 by the FDA as a thyroid carcinogen in animals and is banned in cosmetics and externally applied drugs. All uses of Red 3 lakes (combinations of dyes and salts that are insoluble and used in low-moisture foods) are also banned. However, the FDA still permits Red 3 in ingested drugs and foods, with about 200,000 pounds of the dye being used annually. The FDA needs to revoke that approval. Red 40, the most-widely used dye, may accelerate the appearance of immune-system tumors in mice. The dye causes hypersensitivity (allergy-like) reactions in a small number of consumers and might trigger hyperactivity in children. Considering the safety questions and its non-essentiality, Red 40 should be excluded from foods unless and until new tests clearly demonstrate its safety. Yellow 5 was not carcinogenic in rats, but was not adequately tested in mice. It may be contaminated with several cancer-causing chemicals. In addition, Yellow 5 causes sometimes-severe hypersensitivity reactions in a small number of people and might trigger hyperactivity and other behavioral effects in children. Posing some risks, while serving no nutritional or safety purpose, Yellow 5 should not be allowed in foods. Yellow 6 caused adrenal tumors in animals, though that is disputed by industry and the FDA. It may be contaminated with cancer-causing chemicals and occasionally causes severe hypersensitivity reactions. Yellow 6 adds an unnecessary risk to the food supply. I always encourage my patients to eat as naturally as possible and this is one of the main reasons. These chemicals, basically derived from petroleum, are clearly not as safe as the food manufacturers would like you to think they are. While not all of these dyes pose a serious threat, why risk it? You can bet that if you buy a packaged food and it is brilliantly colored, it has one or more of these dyes in it. That is also problematic as these dyes have been studied alone and not it combination with one another. No one knows what the safety of these dyes are when consumed with other dyes. There are options for food coloring out there. 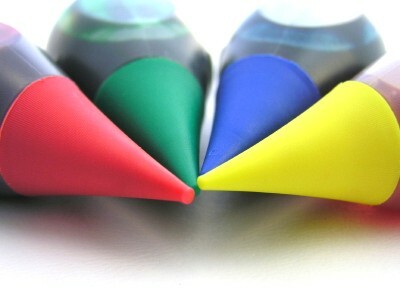 Many natural colors exist that work just as well as the synthetics and are known to be safe. I’ve listed some below for your reference. Caramel coloring made from caramelized sugar, used in cola products and also in cosmetics. A green dye made from chlorella algae. Cochineal a red dye derived from the cochineal insect, Dactylopius coccus. I see many children in my practice that struggle with attention and hyperactivity. Those symptoms are often alleviated by removing all artificial sweeteners and dyes from the diets of these children. In terms of overall health, stick on the edges of the grocery store. Skip the middle aisle where all of the processed junk is kept. That is what will contain the dyes you want to avoid. Other studies have linked BPA to a host of cancers, early onset puberty, obesity and type II diabetes. Current research suggests that it can be harmful in extremely low quantities – parts per trillion – yet most people are exposed to levels 10 to 100 times greater than that. This is another example of an chemical that has made its way into our lives and continues to be there despite good evidence that it is dangerous. But how exactly does it get from the plastic to us? It’s called leaching. As the plastic begins to break down, the BPA leaches out of the plastic and we ingest the chemical. This process is sped up greatly by heating. So as you wash that baby bottle in hot water you are actually speeding up the degradation of the plastic and increasing the leaching of BPA. A good rule of thumb is that the hotter the wash or the older the bottle the more BPA will leach. The problem is that the group of people that is probably most at risk are infants and small children which is precisely the people who will be feeding out of a bottle. Small children are most at risk because their bodies are growing rapidly. Rapidly growing cells are always more susceptible to damage from toxins than mature cells that have finished growing. This is true of any chemical, not just BPA. BPA alters the way genes are activated in the cells of rats. These cells, according to scientists, are very similar to human cells. When these cells are exposed to amounts of BPA that a baby would receive from a plastic bottle they divide quicker and eventually cause cancer. So what can you do? Below is a link to a great website that has tips on what you can do to avoid BPA exposure. Fortunately, most responsible companies have moved away from using it in their products, but that doesn’t change what is already on the shelf. I believe this is a major problem and BPA should be eliminated from all materials that are to be used in any form of human consumption. The research is there and it’s clear that there is at least something to be concerned about. My patients often ask me about this and the best way to avoid exposure for your baby is to breast feed. If you do need a bottle from time to time, buy glass bottles or buy a BPA free bottle – they are available. Widespread exposure to environmental toxins poses a serious threat to Americans, causing “grievous harm” that government agencies have not adequately addressed, according to a strongly worded report released today by the President’s Cancer Panel, a body of experts that reports directly to President Obama. The American Cancer Society estimates that about 6% of cancer deaths — nearly 34,000 a year — are caused by environmental pollutants. That number could be much higher, the new report says. Although the report doesn’t give a figure, it says the government has “grossly underestimated” the problem because of a lack of research. Much of the suffering faced by people diagnosed with toxin-related cancer “could have been prevented through appropriate national action,” according to the 240-page report. The report urges the Obama administration to act, even if the evidence linking cancer and chemicals isn’t definitive. Nearly 80,000 chemicals are used in the country today, many of which are unstudied and “largely unregulated,” the report says. Children appear to be especially vulnerable, the report says. The report was produced by cancer specialists LaSalle Lefall and Margaret Kripke, both of whom were appointed by President Bush and who heard from dozens of experts over the past two years. The panel’s third position is vacant. Reaction to the report was mixed. The American Cancer Society’s Michael Thun called the report “unbalanced” because he said it implied pollution is a major cause of cancer and dismissed prevention efforts. The report “restates hypotheses as if they were established facts,” Thun said in a statement. “It reflects one side of a scientific debate that has continued for almost 30 years.” Thun said he hopes the report won’t confuse Americans about the clearest ways to prevent cancer, such as through healthier living. The American Cancer Society says smoking alone causes far more deaths — more than 168,000 every year. via Toxins causing ‘grievous harm,’ cancer panel says – USATODAY.com. I think it’s great that this kind of information is finally starting to get out there. 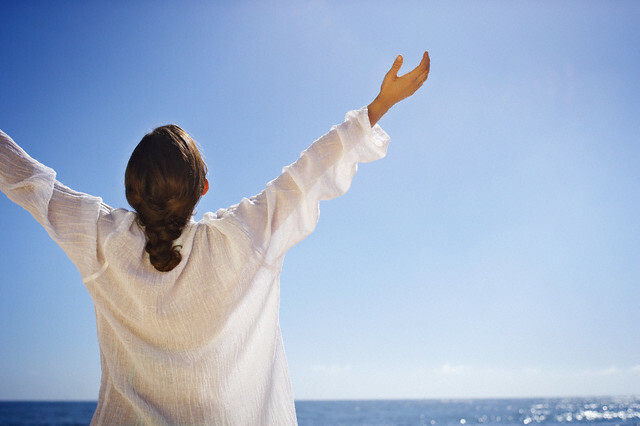 I routinely recommend that my patients do a bio-detoxification for the reasons mentioned above. Most of the chemicals that are in our lives have not been studied and no one knows the long term effects of these things. 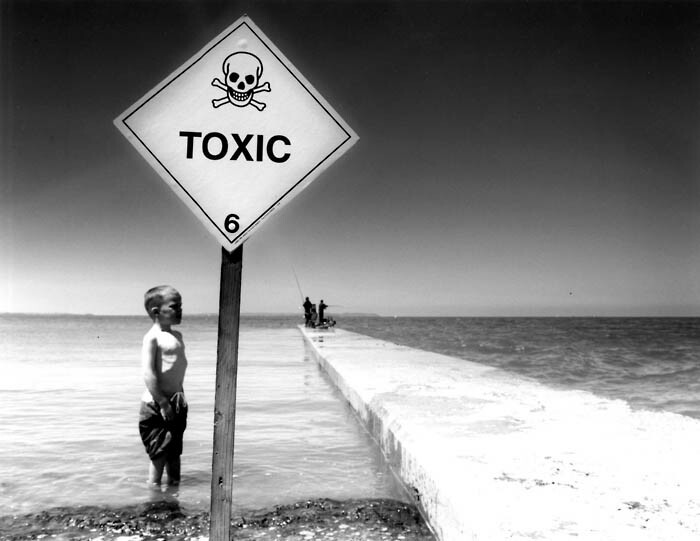 For every chemical that may be harmless there are likely more that cause cancer. And what about the chemicals that don’t cause cancer? What about the chemicals that just affect physiology? Some cause chronic pain, sensory perception issues, trouble breathing, head aches, joint pain, auto-immune disorders and the list goes on and on. The fact that these chemicals are all around us makes them very dangerous. You can’t get away from them. They get into our soil, water and air. You eat them, you drink them, and you breath them in. Over time, some of these chemicals are dangerous and can cause cancer in susceptible individuals. The problem is there is no way to tell who those susceptible people are. Also, think about the list of people who don’t get cancer but are destined for a lifetime of suffering with some mystery condition that cannot be figured out because of some chemical exposure. I routinely see patients who have these mystery conditions and I can almost always attribute it to some environmental exposure. So the questions is, what can you do to protect yourself? I always recommend that my patients do a bio-detoxification at least once per year. Through that program you are able to cleanse you body of many built up toxins. If you do this regularly, you have less of a chance of these chemicals adversely affecting you. Secondly, eat a healthy diet. These chemicals cause cancer by causing free radical damage that alters your DNA. Free radicals are countered by a diet high in antioxidants. A diet full of healthy protein, fruits, veggies and nuts will supply you with ample free radical scavenging antioxidants. Thirdly, take supplements to boost your immunity and antioxidant capacity. Things like vitamin D, vitamin C, curcumin, and green tea extract have known protective benefits. Lastly, avoid using necessary chemicals in your life. Here in the Northeast spring is in full bloom, but that also means the bugs and weeds are out too. Instead of using the chemical weed and bug killers that are available, use a natural product. I’ve used both natural weed and bug killer in the past two weeks and they worked great. The ingredients were nothing more than peppermint, rosemary and thyme oil with a small amount of alcohol in it. It’s no secret that we are surrounded by chemicals in our daily lives. We start by getting up in the morning and driving to work in a car fueled by chemicals, printing our daily reports with chemicals and end our day by sitting down and watching our new fancy TVs that are filled with chemicals. To assume they have no effect is naive. They not only can cause cancer but also cause other long term health issues. Do what you can to protect yourself and your family. My receptionist recently read a piece in our local newspaper and brought it to the office for me to see. I was floored. It was in ‘Annie’s Mailbox.’ This is an advice column syndicated in many newspapers throughout the country and can be found on the web. It is a descendant of the Ann Landers’ column from years ago. This is truly supposed to be an advice column. I mean, people actually write them and ask for their advice! I tend to take these columns with a large grain of salt because the people answering them are often not qualified to answer the questions being asked, nor are they qualified to sort through the research, should they do any, while gathering information to supposedly “inform” us. Below is the text from that article in which a grandmother is concerned for her grandchildren because they eat very poorly. I have highlighted some of more interesting points. Dear Annie: My son and his wife have been married 12 years and have two beautiful daughters. But I am terribly concerned about their eating habits. This is doubly difficult, as my daughter-in-law is the boss in this family and thinks she knows everything. My son is no better. He never ate properly when he lived at home, even though we tried. I hoped he would marry someone with better common sense about food. I have never said anything outright, but I have often subtly tried to let them know how I feel. They eat nothing but pasta. They cook fresh vegetables, but don’t insist that the kids eat them. At Christmas, the 6-year-old wasn’t allowed to have a second dinner roll because it wouldn’t leave room for dessert. The 2-year-old ate olives, pickles and some pie, but wouldn’t touch the ham, mashed potatoes with gravy, or carrot sticks. Dear Mother: Believe it or not, your grandchildren are eating just fine. Having an extra roll or mashed potatoes with gravy is no healthier than pickles and olives and has no bearing on their colds and ear infections. A lot of adult eating disorders can be traced back to parents who turned the dinner table into a battlefield. Please trust your son and his wife to care appropriately for their children, and turn a blind eye to the food issues. You can’t win — and you could lose a great deal. First of all, those children eat terribly if their grandmother is correct in saying all they eat is pasta and no vegetables. That is the worst thing for humans to eat too much of. It may not cause problems for young children who have fast metabolisms and need lots of energy to grow, but it sets up extremely poor habits for them as adults. If they continue on that type of a diet they’ll be overweight and diabetic by the time they are in their forties. My biggest problem with this article is the ‘advice’ that Annie gives them. She tells this grandmother that her grandchildren are eating just fine and that what they eat has nothing to do with getting colds and ear infections! Since when does what you eat have nothing to do with your immune system? Maybe ‘Annie’ knows something I don’t know. Well as it turns out ‘Annie’ is two women. She is either Kathy Mitchell or Marcy Sugar (ironic, huh?). Both write this column. It is not spelled out which wrote the advice above but their backgrounds certainly don’t warrant that they should be giving anyone health advice. Kathy Mitchell’s background is as a typist, secretary and office manager to Eppie Lederer, a.k.a Ann Landers. Marcy Sugar started her work in the Ann Landers’ office by doing basic research and clerical tasks, then she moved into bookkeeping. Clearly both of these women are more than qualified to give advice on what is healthy for children to eat, right? The problem is that too many people take what they read in the newspaper as gospel and the advice that was given in this article is awful. First of all, what you eat has everything to do with your immunity. For example, pasta is filled with gluten. Gluten is a very potent allergen in human beings. Constantly bombarding a young digestive tract with gluten causes the immune system to focus on the wrong things. It will focus on allergens rather than viruses and bacterial. The grandmother states that her grandchildren are constantly getting sick. If it isn’t the junky diets these kids are eating then what does ‘Annie’ attribute it to? Are they just sick kids and there’s nothing that can be done about it? Definitely not. Secondly, diet is a huge part of immunity for another reason that ‘Annie’ overlooks. If these children are not eating fruits and vegetables (as is stated in the article) they aren’t getting enough vitamins and minerals to fuel their immune systems. Vitamin C and vitamin A are too very simple examples of nutrients that are essential for immune function. Lastly, ‘Annie’ says this in her advice; “You can’t win – and you could lose a great deal.” What kind of an attitude is that? What is there to “win?” This woman clearly wants her grandchildren (and her son and wife) to be healthier. I understand that ‘Annie’ is saying it could cause a rift within the family and possibly ruin relationships. But what about the fact that when people eat like this they have higher rates of cancer, diabetes and even death? Is that not the biggest loss anyone can have? Is ‘Annie’ suggesting just to give in and watch her family eat it’s way to an early grave? It appears that way. Advice columns like this have little merit and hopefully people see through them. I fear, however, that judging by the popularity of these columns some people actually take them seriously and listen to the advice. This advice column gives the completely wrong advice saying that those children eat just fine. They eat the opposite of just fine. They eat horrible diets and if they aren’t changed, those poor children are in for a lifetime of bad health.